This library is for the use of current Portland Modern Quilt Guild Members only. 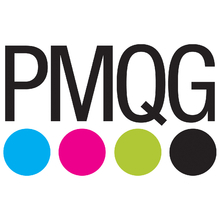 For full information about requesting and borrowing books, please see the PMQG website: http://portlandmodernquiltguild.com/library/. After finding a book you would like to check out, click on the Request book button. An email will be sent to PMQG and the librarian will bring the book to the next PMQG general meeting. The borrower may keep the book until the following month's meeting. If the borrower would like to make other arrangements for the pick up or return of a requested book, please note that in the request email. If you have questions regarding the library, please email portlandmodernquiltguild@gmail.com or call 503 780-4598.